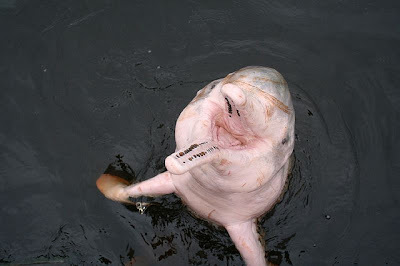 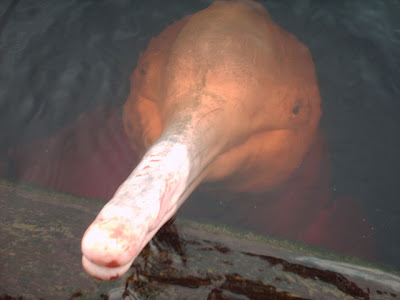 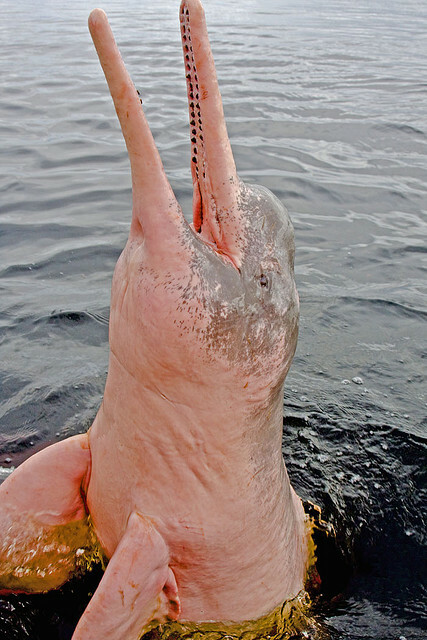 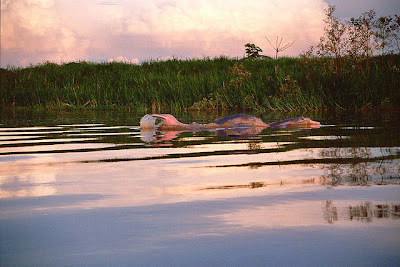 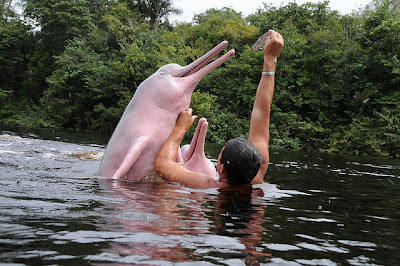 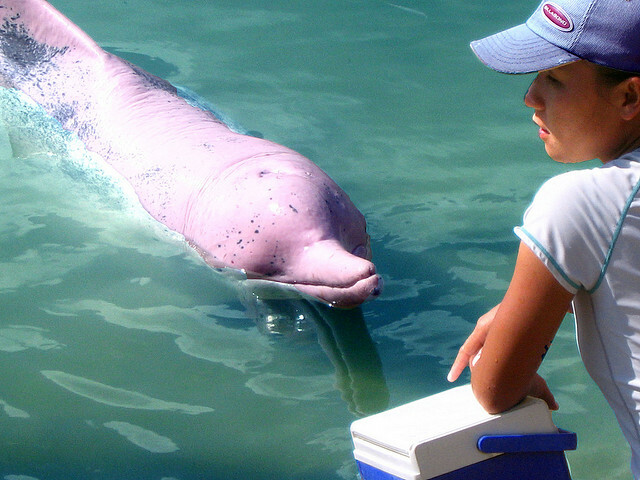 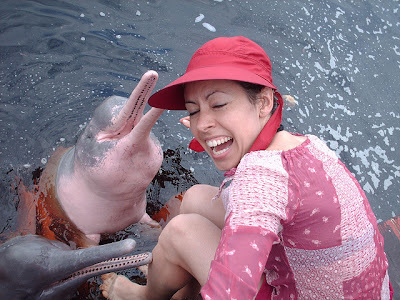 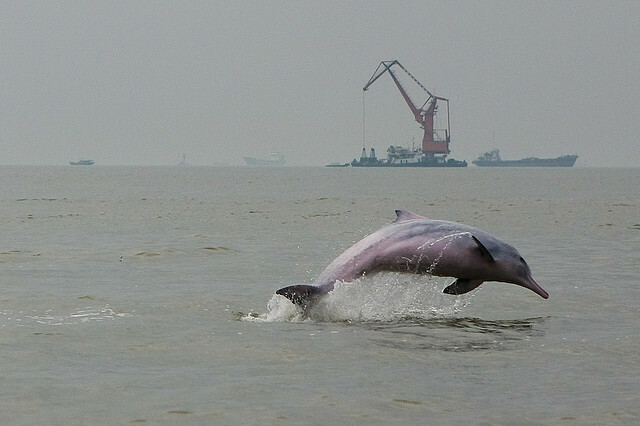 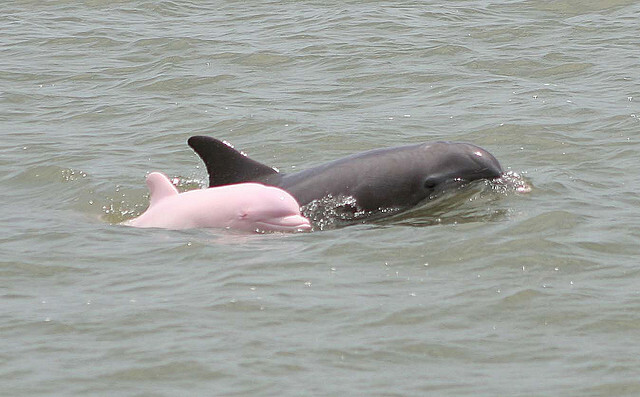 Dolphins are a rare breed of freshwater dolphins that make their home in the Amazon River. 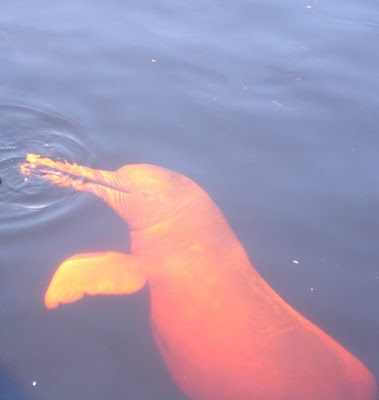 Beautiful as well as smart (their brains are 40 percent bigger than a human's), they are the largest of the four known species of river dolphins. 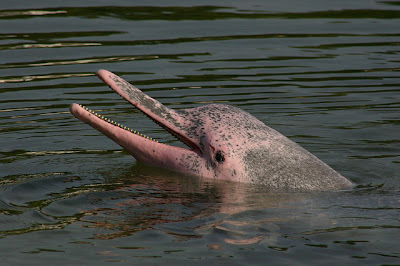 Unfortunately, they are also endangered due to pollution, overfishing, and destruction of their natural habitat. 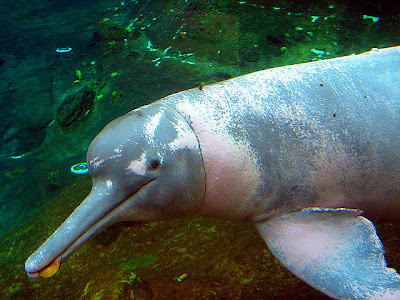 According to National Geographic, approximately 100,000 of them remain.